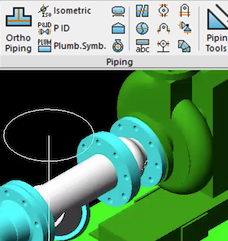 CADavenue is pleased to offer AViCAD – a full CAD Application including tools for Mechanical Process Plant and Piping Design and Architectural drawings. AViCAD provides an all in one CAD packages for Engineers, Architects and Draftspersons with a AutoCAD®-like interface. The new CAD application is also compatible with the latest DWG file format.